Our life styles have drastically changed in recent years and it is becoming more and more difficult to make a healthy and balanced diet on a daily basis. Many prefer to eat a quick snack in the morning rush neglecting their health and dietary needs. 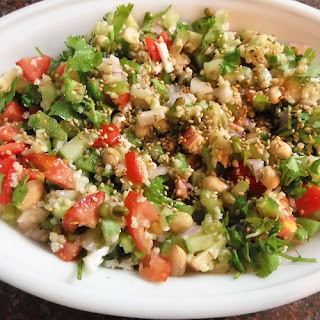 Mixed vegetable salad with fresh vegetables, fruits, beans, nuts and seeds makes a nutritious one bowl meal which can be fixed quickly. 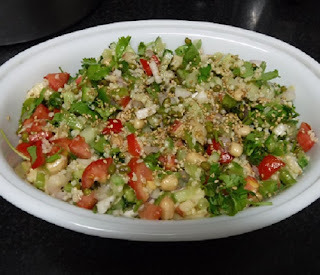 Addition of Millets makes the salad a wholesome, nutritious and delicious meal in itself. 1.Wash and drain Proso millet. 2. Cook the millet with 1 cup of water adding a pinch of salt and 1/4 tsp of olive oil on low flame. 3. Cool the cooked millet and fluff it up. 4. 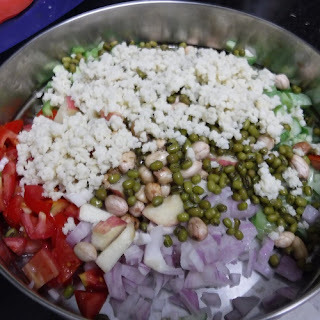 Gently combine the chopped vegetables, moong beans, boiled peanuts and the cooked millet together. 5. 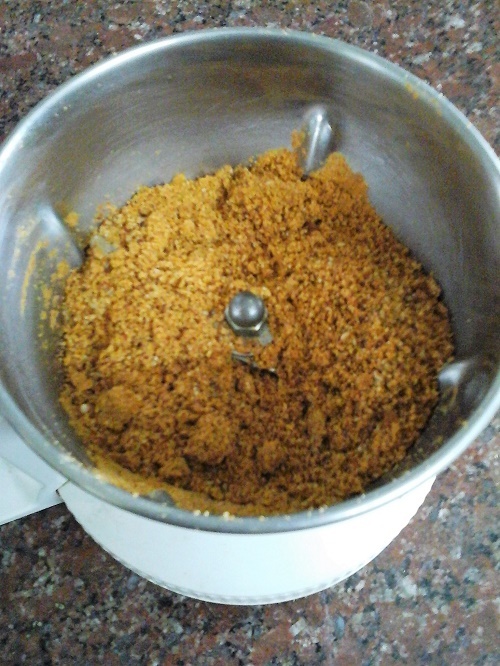 Whisk together the remaining olive oil, salt, powdered jaggery, pepper powder and the juice of lime. 6. Pour it on the salad and shake well until it blends well. 7. Garnish with roasted sesame seeds and chopped coriander leaves. Enjoy the Baragu Vegetable Salad at any time of the day! Kara kuzhambu is a traditional south Indian gravy usually prepared to go with Idlies, Dosas and Appams. 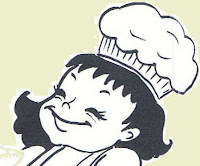 I am always after people who are good cooks to obtain their recipes. 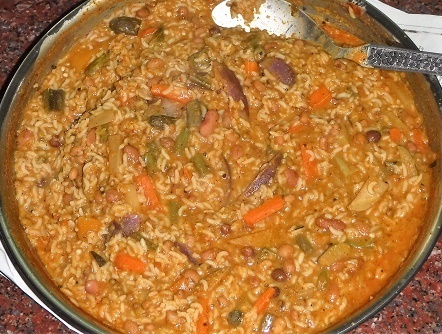 My nephew's young wife is a very good cook and she is especially proficient in making Kara Kuzhambu. I was pestering her for the recipe from the day I landed at Portland.Though she gave me the know how, I some how never got the opportunity to taste her Kara Kuzhambu during our two months stay there due to our hectic schedule. The sweet girl was right on time for dinner with a bowl of Kara Kuzhambu on the eve of our departure to India. I was bowled over by the delicious and flavoursome Kara Kuzhambu thoughtfully and lovingly prepared by her. Heat 1/4 tsp of oil in a pan and add coriander seeds, red chillies, pepper corns and cumin seeds. Roast till you get a flavoursome aroma. Add asafoetida and curry leaves and roast till the leaves become crunchy.Cool the roasted ingredients and then blend into a powder. 2. Heat 1 tbsp of sesame oil and saute the chopped onion and garlic till they become glassy. 3. Add the chopped tomatoes and cook till the tomatoes become soft and allow to cool. 4. Blend the onion, tomatoes and garlic with fresh coconut gratings and the kuzhambu powder into a smooth paste. 5. 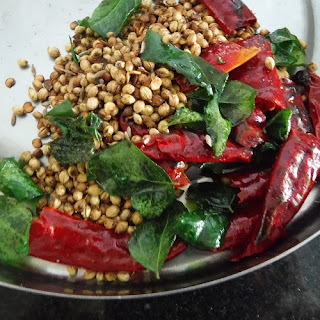 Heat the remaining oil in a kadai and add mustard seeds. 6. When the mustard seeds splutter add the curry leaves followed by field beans and chopped drumstick pieces. 7. 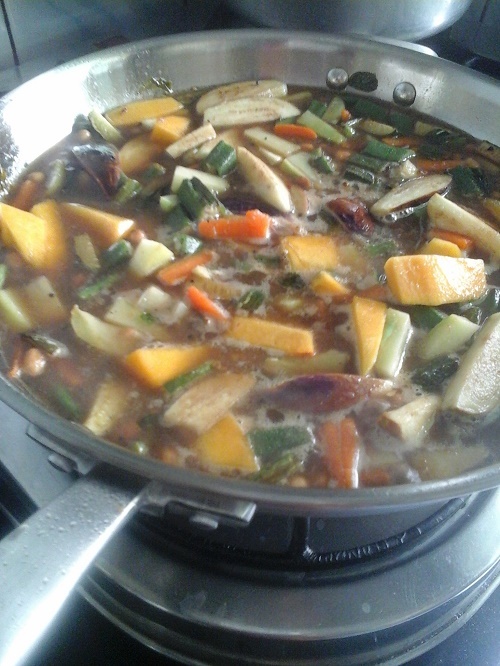 Add the tamarind juice, salt, turmeric powder and chilly powder, and cover and cook till the vegetables are done. 8. 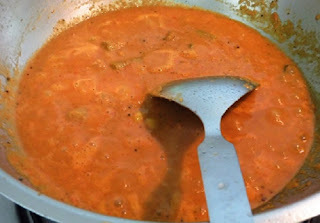 Add the ground tomato,onion and kuzhambu powder paste and cook till the masala blends well with the kuzhambu. 9. 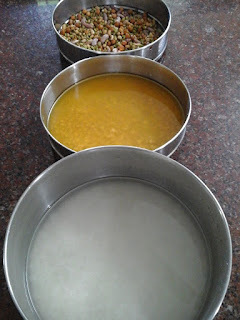 Add more water if the kuzhambu is too thick to adjust the consistency. 10. Cook for two more minutes and switch off flame. 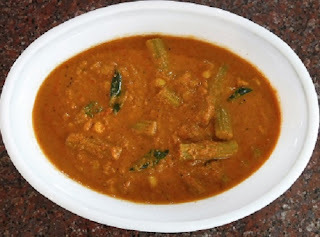 Enjoy the flavoursome Mochai Murungai Kara Kuzhambu with aappams, idlies, dosas or even with steaming hot rice. When mixed vegetables, legumes, lentil and rice are cooked together with an aromatic blend of spices it transforms into a nourishing and flavoursome one pot meal known as KADAMBAM. 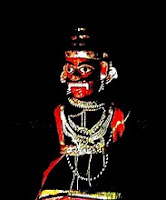 It is a special neivedyam offered to Lord Vishnu at certain temples hence the name Kovil Kadambam. I happened to taste an authentic version of this delicious dish at a friend's place in Portland. 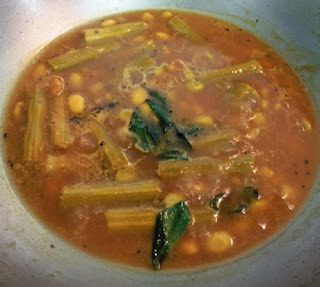 Sudha, my young friend was very happy to share the recipe. Thanks to her, my first attempt won accolades from my family members. Ever since I have been making Kovil Kadambam regularly. 1.Wash rice, tuvar dal and the soaked ingredients separately using the three pressure cooker utensils. Add two cups of water to the rice, 1 cup of water and turmeric powder to tuvar dal, and very little water to the soaked ingredients. 2.Place the three separators one on top of the other and pressure cook up to three whistles. 3.Heat a drop of oil in a kadai and roast all the Sambar powder ingredients one by one till you get a very pleasant aroma. Powder the roasted ingredients in a mixer and keep aside. 4.Heat the remaining oil in the kadai and add mustard seeds. 5.When the mustard seeds splutter add the peanuts and roast till they crack. 6.Add asafoetida and curry leaves. 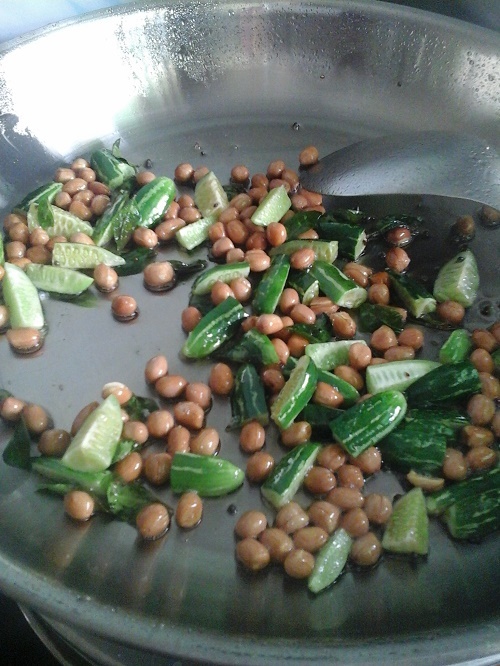 7.Add the chopped ivy gourd to the seasoning followed by the chopped ladies finger. 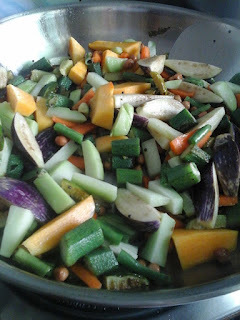 8.Add all the other vegetables one by one and saute together for two or three minutes. 9. Pour in the extracted tamarind juice, add salt and cook till the vegetables are almost done. 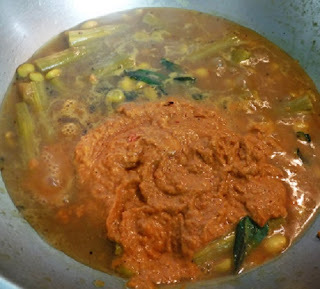 10.Add the cooked legumes and the cooked tuvar dal. 11. Blend in the Kadambam sambar powder and cook for a few more minutes. 12. 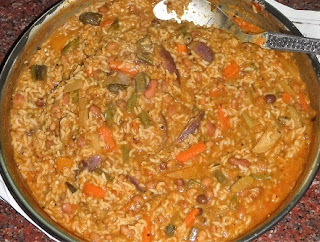 Reduce heat, add the cooked rice and stir well so that no lumps are formed. KOVIL KADAMBAM is ready to be offered to Lord Sri Rama. 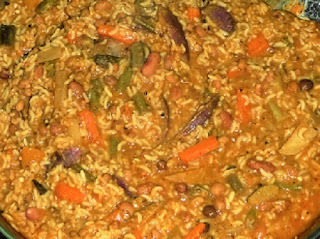 Share and enjoy the nutritious and flavoursome prasadam with family and friends.